BOSTON — Clio may be soon departing, but Boston foodies may yet savor a slice of its culinary influence at Liquid Art House in Boston's Back Bay. 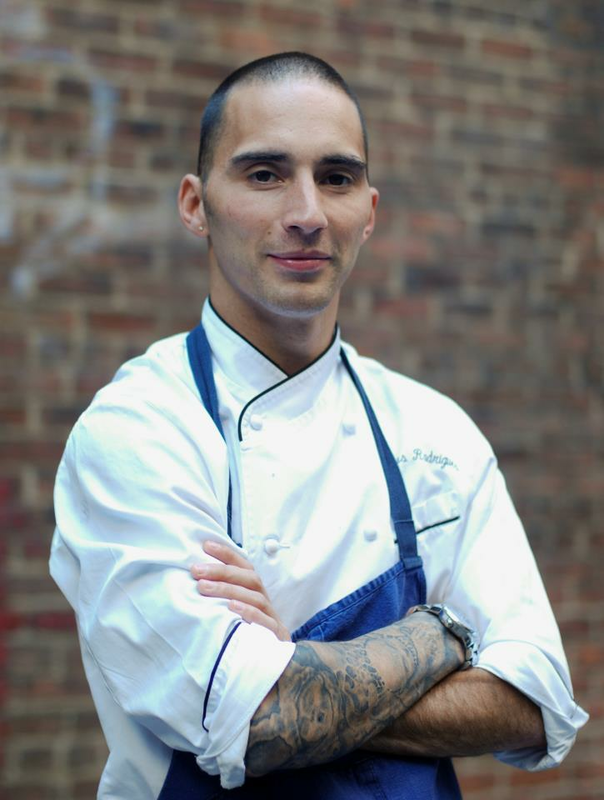 Former Clio executive chef Douglas Rodrigues moves into the Executive Chef slot at the gallery-restaurant hybrid, freed up by LAH founding chef Rachel Klein, who moves on to open her own bistro in the burbs. The change will take effect immediately. So what may guests expect? Rodrigues, who grew up among graffiti artists during his near-pro skateboarding days, says he'll channel some of his bad boy style (the good part, that is) - to bring a menu edge that reflects LAH's richly diverse, well-heeled audience: Asian-nuanced, modern global. But don't expect it to happen overnight. LAH is now entering the holiday season with a full docket of holiday parties. "As soon as New Year's Eve arrives, it's game on," says Rodrigues. The Situate native says that cooking with Ken Oringer was "the best experience of my life." He adds: "I owe my cooking spirit to him, but my work ethic got me there." The millennial chef says he's already drawing inspiration from LAH's "incredible vibe." LAH founder Ruta Laukien sees a perfect fit with LAH's socially arty brand: "Douglas brings an exciting energy to the kitchen and I'm confident his cuisine will ultimately help our brand to evolve." Until Rodrigues relaunches LAH's expanded, approachable menu, which will offer a wider array of small plates, he plans to continue with LAH's best sellers while gradually introducing nightly tasting menus. For the guests who fell in love with Klein's dumplings, Rodrigues plans an expanded list of the popular menu item with his own interpretation and a casual dumplings and drinks bar. Helmed by entrepreneur Ruta Laukien in 2013, Liquid Art House is Boston's first gallery-restaurant hybrid, launched in the recently renovated beaux arts landmark The Arlington in Boston's historic Back Bay. Voted one of Boston's Best New Restaurants by Condé Nast Traveler and Boston Magazine, LAH boasts a groundbreaking concept of art, space and design through the prism of social dining with its award-winning “art hospitality” experience catering to Boston’s culinary, culture and social scene.